Why I Run | Kitchenpants! Lizzie and I used to say that the only way we would run was if someone was chasing us…and if he was cute, then we might just walk really fast. So, it’s absolutely ironic that Lizzie is the reason that I run. My very first blog recipe post was all about Liz and our unlikely friendship. Liz lost her battle with breast cancer back in December of 2009. 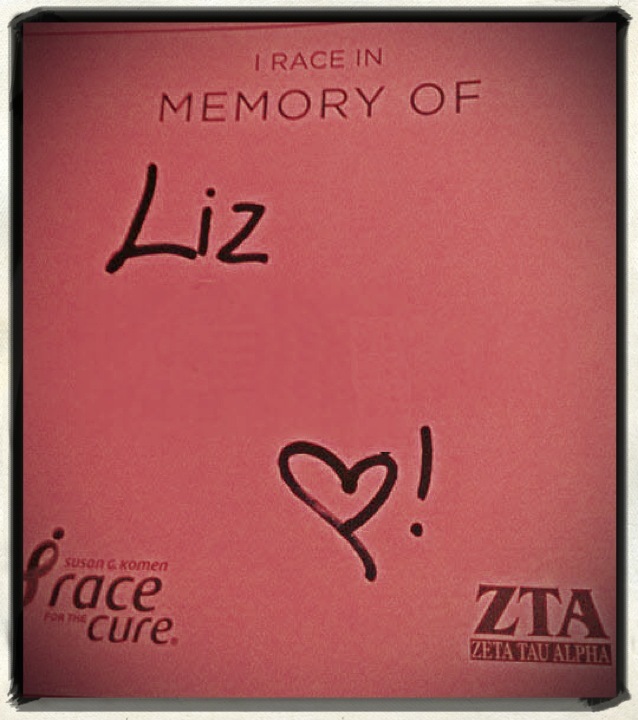 The following April, I participated in my first Race for the Cure 5K as part of an effort to honor Liz’s memory. I made it just 1 mile in 11 minutes and then I had to walk the rest of the way. I guiltily picked up the pace at the end and jogged through the finish. It was an awful way to honor a friend, but I couldn’t quite figure out why I felt so badly about it. After all, I wasn’t a runner – how could I even expect myself to suddenly run 3.1 full miles? And then it came to me: Lizzie couldn’t run. Liz couldn’t run. Lizzie couldn’t run or jump or play or laugh or smile anymore because she was gone. And in realizing this, I realized that I needed to run because Liz couldn’t. I needed to jump, play, laugh, and smile because Liz couldn’t anymore. I needed to live because Lizzie couldn’t. I’m currently training for the Chicago Marathon and I will tell you that I already get teary thinking about running my first marathon through the city that I love endlessly. But even with all of the good that running has brought into my life in terms of fitness, friendship, and reward, Liz is always at the core. I think of her every time I lace up my shoes and every time I cross a finish line. And the funny thing is that when I picture her, she is always rolling her eyes at me. Lizzie would never approve of my running in her honor. I’m sure she would rather me have a stiff cocktail instead…or several. But for me, running is living. I’m not just running for you, Lizzie – I’m living for you, too. Note: Kitchenpants! 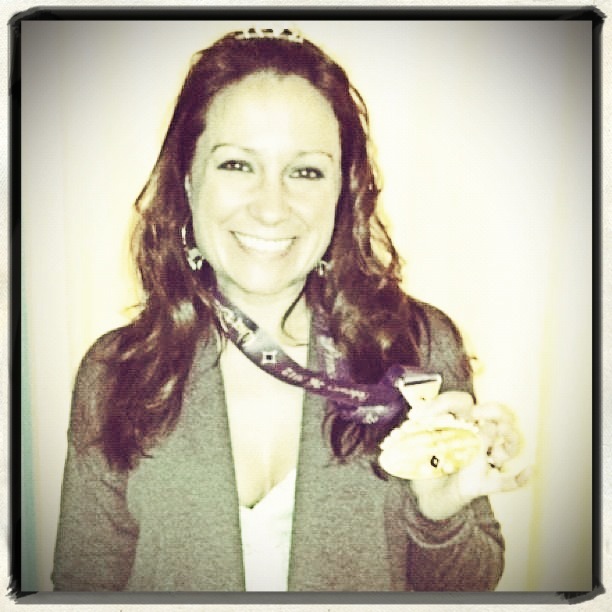 is still a recipe blog…but I can’t ignore my other love: running. Look at the Runningpants! section for run-friendly recipes and insight. Wow. I am speechless but since I am not speaking about your blog post, I can reply by typing. Amazing, amazing, amazing. One of the most inspirational running stories that I have ever read. It is the way you wrote about not only running, but living life for Lizzie. I will run for Lizzie tonight. I always try and think about the people who can’t run when I am exhausted late in a race. It keeps me going. Lizzie is watching down, smiling at your post, and sporting her very own kitchen pants. And for some strange reason, she is wearing compression socks under her kitchen pants. You inspired her. Keep up the great work here. Love your work! Inspiring post, Ali. Love. And your running is such a wonderful tribute to Liz. I’ll think about this while I’m running the Shamrock this weekend.